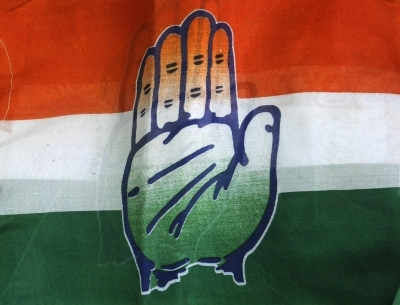 Panaji Sep 15 (IANS) The Goa Congress on Saturday squarely blamed the ruling BJP for the political and administrative chaos in the state after Chief Minister Manohar Parrikar was airlifted for treatment to New Delhi even as the party is in the process of scouting for a replacement. "We would also like to remind the people of Goa that their well-being is the last thing on the mind of the ruling political parties who are unleashing the ugly game of power and clamouring for their benefit. "The greed for power of the Bharatiya Janata Party (BJP) and its allies has exposed the fact that they can t give charge even to a trusted lieutenant in the absence of CM " state Congress president Girish Chodankar said in a statement issued here on Saturday. "The current confusion of epic proportions is only going to hurt the prospects of the state further especially when the BJP does not even have a second-in-command to succeed Parrikar in his absence. "The very fact that a second-in-command was never allowed to be groomed by the BJP shows how selfish interests have sacrificed the interests of the party and the state of Goa " Chodankar said adding that the Congress sympathises with the health-related issues which confront Parrikar. BJP s central overseers are expected to visit the state soon to monitor the ongoing developments and decide a political course for the party in view of Parrikar s ailing condition even as coalition partners have been demanding a bigger role in a dispensation without Parrikar at the helm. The alliance partners the Maharashtrawadi Gomantak Party and the Goa Forward with three MLAs each have demanded chief ministership for their senior leaders Sudin Dhavalikar and Vijai Sardesai respectively. Parrikar who is suffering from advanced pancreatic cancer was airlifted to the All India Institute of Medical Sciences (AIIMS) in the national capital for treatment. Since February this year Parrikar has been in and out of hospitals in Mumbai the US Goa and now in Delhi owing to his ailment. His absence and his inability to officiate hands-on has been criticised by the opposition civil society and also by the ruling alliance partners. Chodankar in his statement said that nobody is happy with the piquant political situation Goa is in at the moment. "No one in Goa is happy BJP is not happy allies are not happy people of Goa are unhappy bureaucrats and government officers are unhappy even CM and ministers are unhappy. This happens when you don t respect people s mandate. BJP and its allies should take up responsibility of this mess created in Goa over the last 16 months " Chodankar said. The Congress had won more seats than the BJP in the 2017 state Assembly polls but sluggish leadership and decision-making by the party s leaders and quick thinking by the BJP helped the latter cobble up a coalition with regional parties and Independent legislators to form the government.